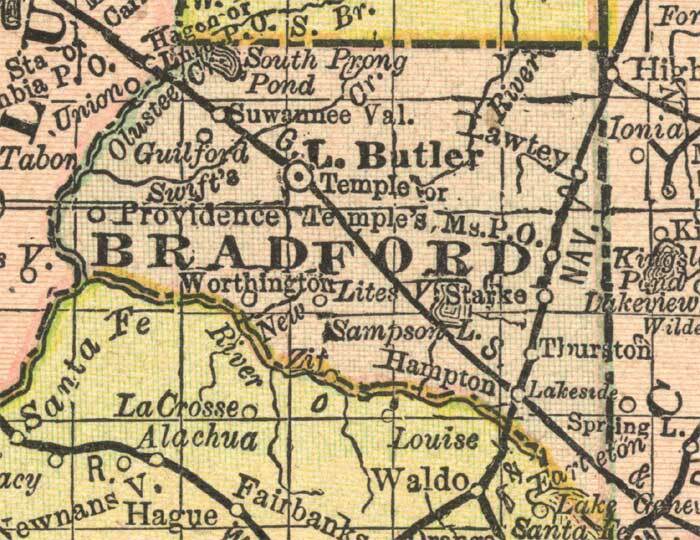 Description: This detail of a map of Florida indicates Bradford County current to 1892. Major waterways are shown with thin, concentric lines. The thick black lines represent railroads. The central features of the detail include Hampton, Lake Butler, and Starke. Map Credit: Courtesy of the private collection of Roy Winkelman.